Fairy Marshmallows for Miniature Gypsy Fairy Gardens. 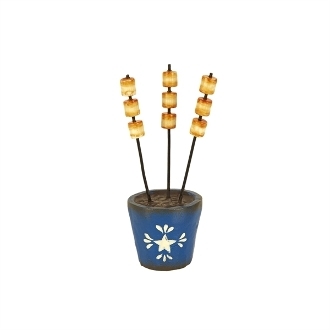 Full Description: Cozy up by a mini campfire and roast some mini marshmallows! Designed by artist Genevieve Gail, this item features all-weather paint and hand-painted details.